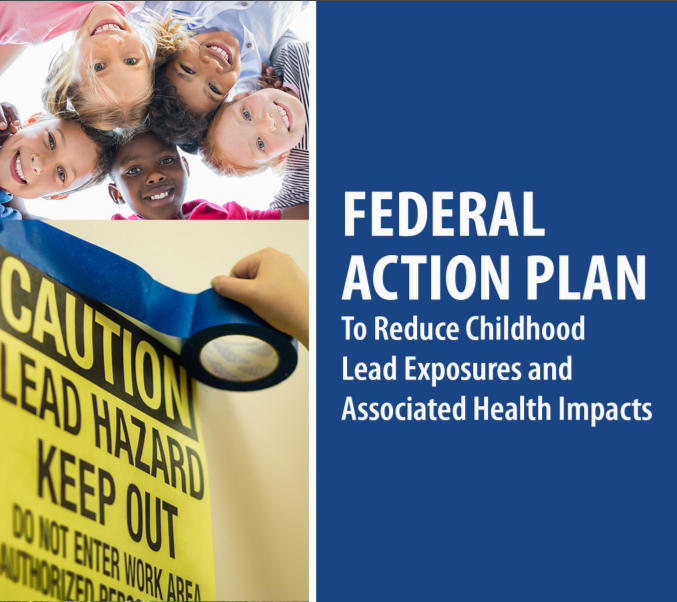 Resulting from stakeholder input and numerous public meetings, the Action Plan aims to build on the previous work of the President’s Task Force, including a 2000 report,Eliminating Childhood Lead Poisoning: A Federal Strategy Targeting Lead Paint Hazards, which focused on the largest lead source to children—lead paint in housing and adjacent soil, and its 2016 resource,Key Federal Programs to Reduce Childhood Lead Exposures and Eliminate Associated Health Impacts, which describes the federal government’s efforts to decrease lead exposure to children in the U.S.
Support and Conduct Critical Research to Inform Efforts to Reduce Lead Exposures and Related Health Risks. Locally, Allies for Children has been working to implement the Allegheny County Lead Task Force’s recommendations. The Allegheny County Lead Task Force concluded in December 2017 that both primary prevention and intervention strategies are required, but because only primary prevention will lead to an overall reduction in childhood lead exposure, it should be prioritized. Together with local partners Allies for Children is working to advance the report’s number one recommendation: lead-safe housing. Particularly, lead poisoning is most common in communities with a high proportion of low-income children who live in rental housing built prior to the 1978 federal ban on lead in residential paint. Allies for Children and partners are working with municipal stakeholders to advance formal policy ensuring that rental housing is maintained in such a way that protects children from lead exposure. Paint and dust continue to be major sources of exposure in housing across Allegheny County. To eliminate harmful exposure to lead from dust, paint, and other household sources, the dearth in lead-safe/lead-free housing must be addressed. Moreover, lead-hazards from demolished blighted properties must be reduced. Homeowners and housing providers must be informed of the potential of exposure to lead hazards and educated on opportunities and requirements for remediation. As Allies for Children works to address these issues, there is a need for programs that financially support lead remediation. Currently, the demand for lead-safe contractors exceeds the supply needed to accomplish these goals. It is encouraging to see local efforts buttressed by recent federal recommendations, and that federal and local strategies are significantly aligned.